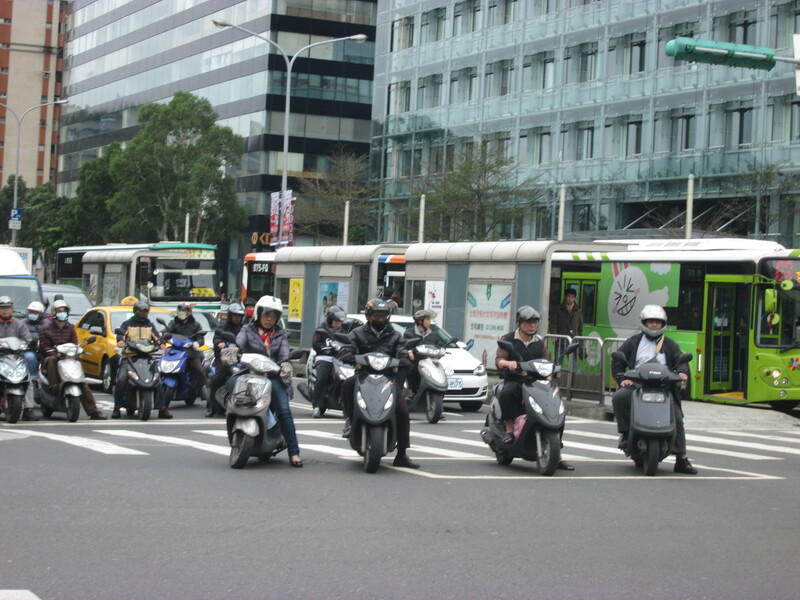 It is undeniably hectic, with thousands of scooters crowding the streets and cars whizzing by at high speeds. 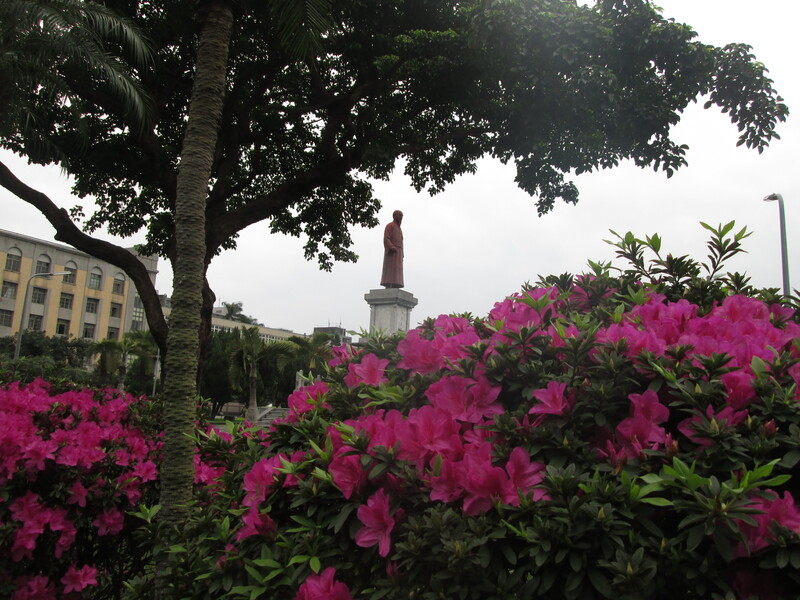 And yet, I also sensed a laid-back quality to Taiwan. People take their time over meals, enthusiastically explore their country on weekend trips, and are welcoming to visitors. And come evening, the place to be appeared to be the night markets, which are dispersed all over the city. I learned that each market has its own vibe. 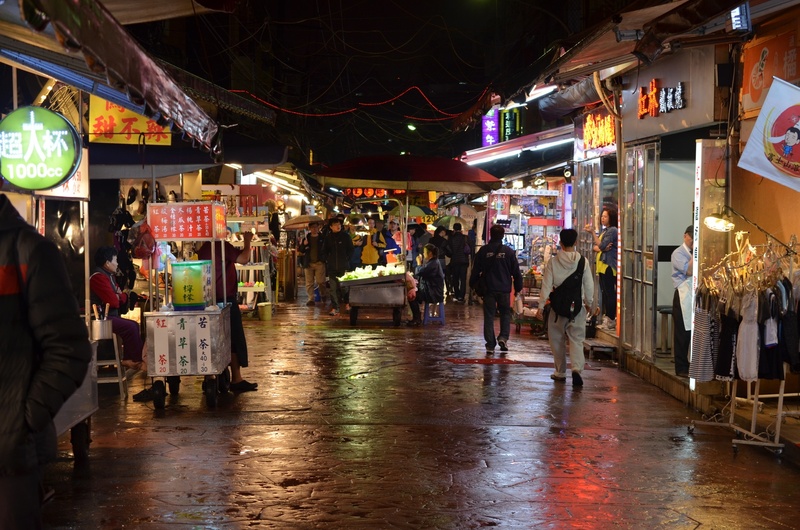 The Shi-Da market, for instance, is located near the National Taiwan Normal University, and caters to a youthful crowd. If you want pretty things – jewelry, purses, shoes – Shi-Da is the place to find them. I had some success there – finding a lovely necklace and some trendy scarves. 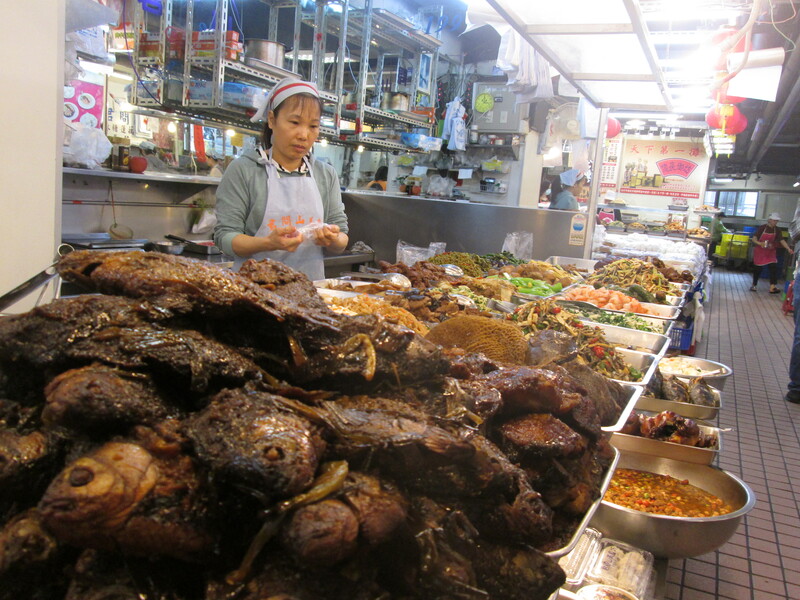 Other popular markets, such as the Raohe market, are more about the food. Grilled seafood, stinky tofu, black pepper buns, and endless varieties of noodle dishes are being prepared everywhere you look. 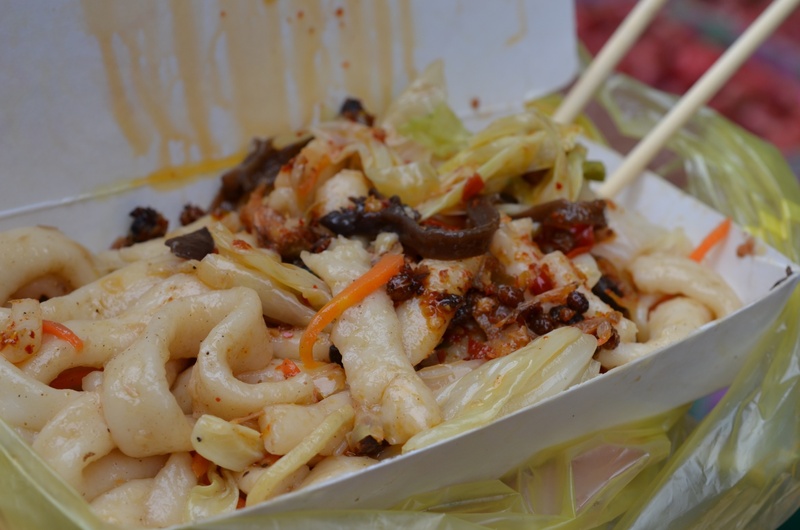 Food options are no less plentiful during the day, when you’ll run across random booths offering thick noodles with hot chilis and cabbage, deep-fried pancakes, candied fruit, or sweet mochi. 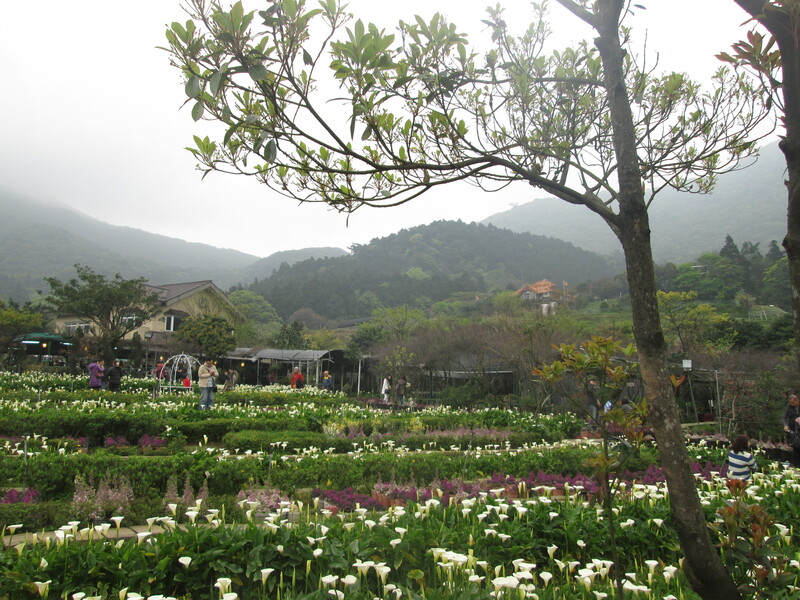 For a less-urban experience, we ventured to the Yangmingshan National Park one afternoon, where the green terrain was stunningly vibrant (to an Arizona girl like me, at least). We took in the Calla Lilly Festival in Jhuzihu, where you can walk through an ocean of blooms. The heady combination of miles of white flowers and a wafting sweet scent is overwhelming, but in a good way! For me, Taipei was the best of multiple worlds – cosmopolitan when you want it (think dinner at the top of the 101-story Taipei 101 building), urban grungy (try finding a restroom in the night markets!) and peaceful and green when you need it. I loved it. ← I love dead trees – don’t hate me!